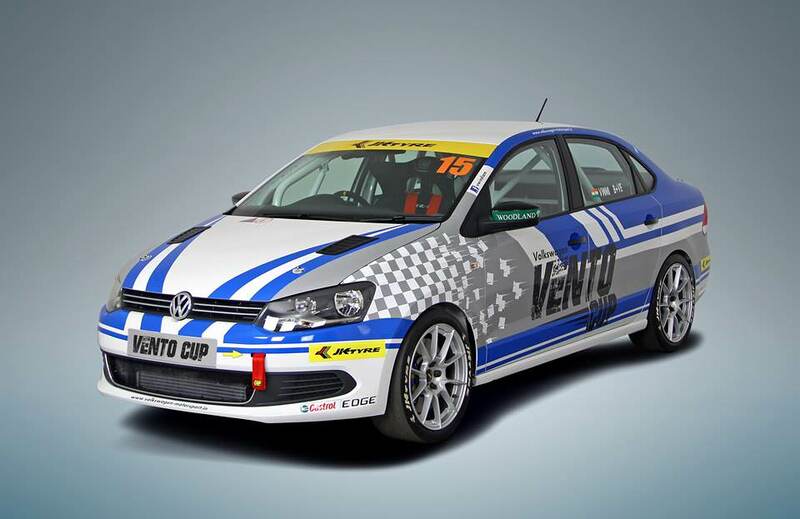 Volkswagen India, officially unveiled VW Vento Cup car that features 1.4 TSI engine and pumps out crazy 180 horses. 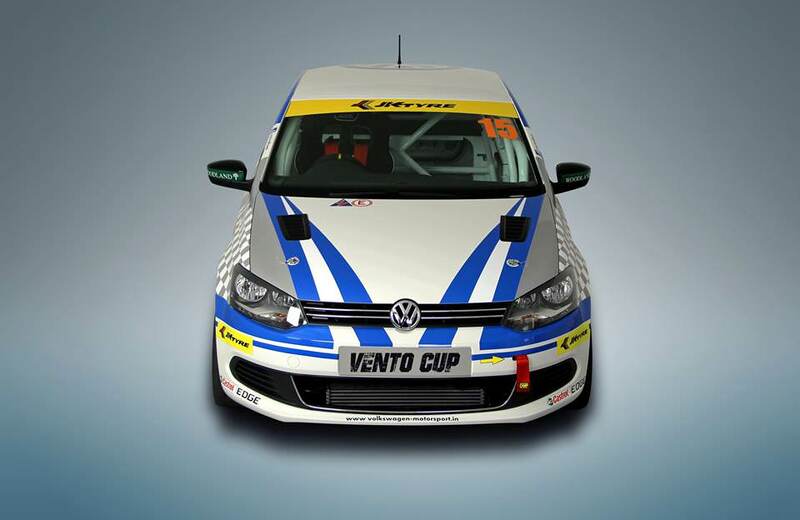 Till now, VW Cup cars were only a polo series but from 2015 VW Vento will also participate officially in the VW Cup race. The Polo Cup is now will become Vento Cup. The standard Vento in India comes with 1.2 TSI and 1.6 petrol engines, both produce 105 bhp at the front wheels of the car. The Vento cup car gets 1.4 TSI, a bigger version of TSI family and that churns 180bhp with 250 Nm of peak torque. The car gets 6 speed DSG unit and all that is mandatory under FIA guidelines like a roll cage, fire extinguishers etc. VW is the first company to get participation from core racing enthusiasts and specially VW brand lovers. 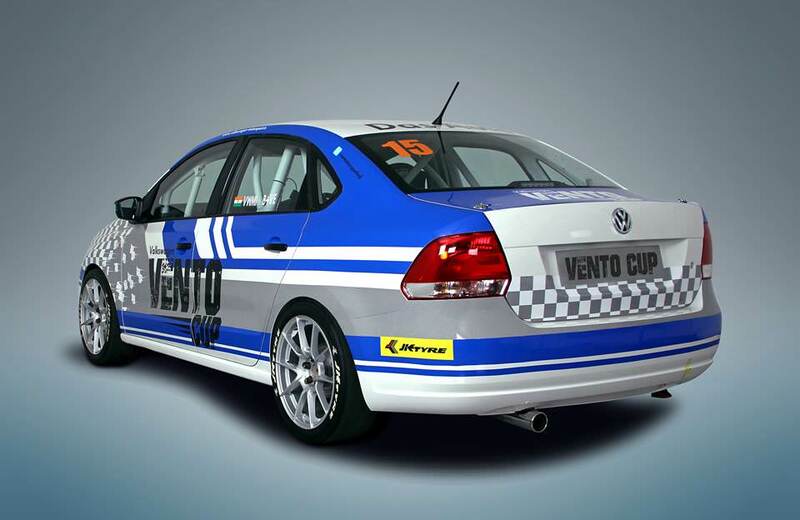 The 2015 VW Vento Cup registrations are open now and one can register under 3 categories as Junior, Pro and Master. The overall cost of 3 levels is 8, 12 and 14 lakhs for Junior, Master and Pro levels. VW India is also planning to introduce next generation Vento by July this year. Team AutoColumn’s scoopmeister already have the snaps of new VW Vento with changes at the exterior. You can read the full story here.